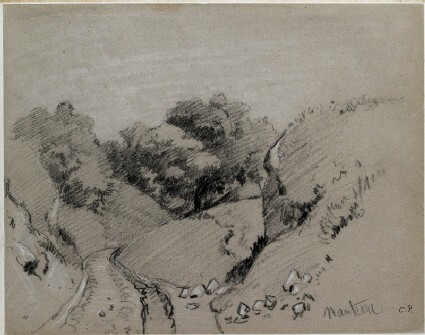 This composition, with its device of a road leading into the landscape, was used often by Xu Bing. 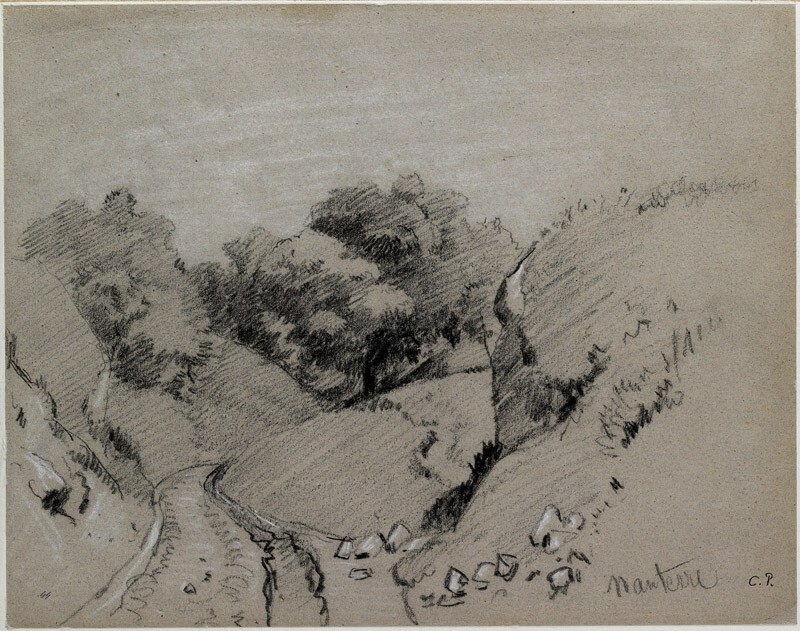 It appears particularly in his drawings and sketches of southern Hebei (LI2007.27 and LI2007.30), and was also used by Jean-François Millet (see LI2007.12 and WA1954.70.51). 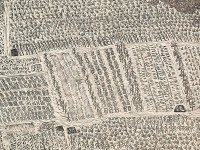 Xu Bing similarly used white chalk in several of his larger drawings (see LI2007.14). Presented by the Pissarro Family, 1952.